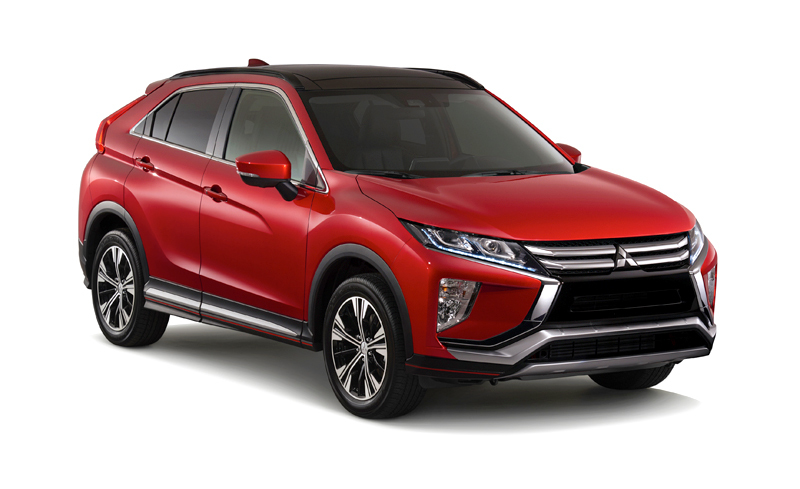 For an estimated starting price of $21,000, is the 2018 Mitsubishi Eclipse Cross worth every penny? Just when we thought that the Eclipse moniker is already dead after its production ended in 2011, Mitsubishi just revived the name for its new crossover utility vehicle (CUV). According to CarAndDriver, the company’s reason for carrying the name for their new product is its sloping roofline that is one of the key distinguishing features of the Eclipse coupe. The Eclipse Cross sits between the Outlander Sport and the Outlander models in the hierarchy of Mitsubishi vehicles. The Eclipse Cross shares the same wheelbase measurement with the mentioned models at 105.1 inches. The reviewer complained that the Eclipse Cross adopted too many styling factors from the Outlander and the Outlander Sport. The CUV only had a few design elements that set it apart from the two. In addition, the front grille of the auto bears a striking resemblance with the shape of the Lexus NX’s radiator grille. The Eclipse Cross carries a 1.5-liter inline-four engine. The European model of the unit churns 161 hp at 5,500 rpm and 184 lb-ft of torque at 1,800 rpm. The company hadn’t released information yet about the configuration of the model bound to the U.S. but expect it to possess a boost in power. The speed of the Mitsubishi CUV is delivered by a six-speed manual gearbox to the front wheels. The one in the U.S. market will likely come with a continuously variable transmission (CVT) and an all-wheel version of the auto is also possible. The cockpit of the Eclipse Cross is a notch up compared to the Outlander. Then again, it was criticized for its heavy use of hard plastic and poor visibility of some of its controls. Despite that, the improved 7.0-inch touchscreen, head-up display, 360-degree camera, touchpad controller and adaptive cruise control make up for the issues. The infotainment system of the CUV can be integrated with Android Auto and Apple CarPlay. 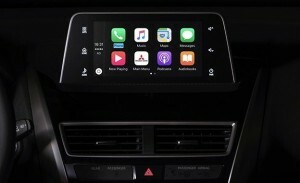 However, it lacks a native navigation system.